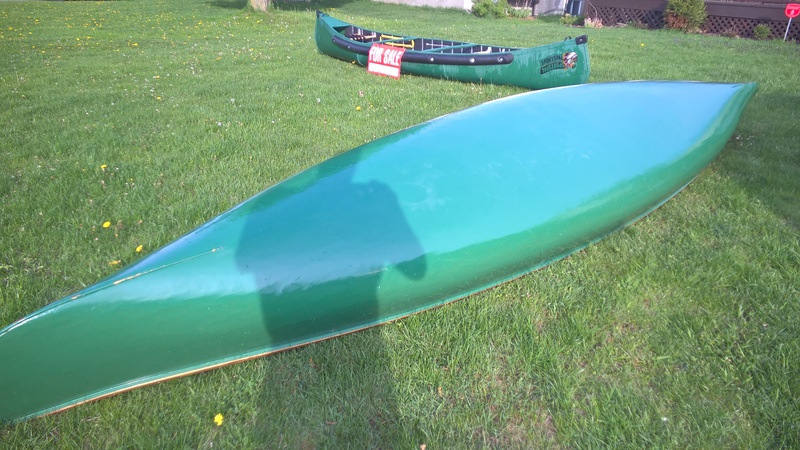 Does anybody who follows this blog think for a second that me purchasing a second canoe within one year and selling my SportsPal is out of the question? I think not! 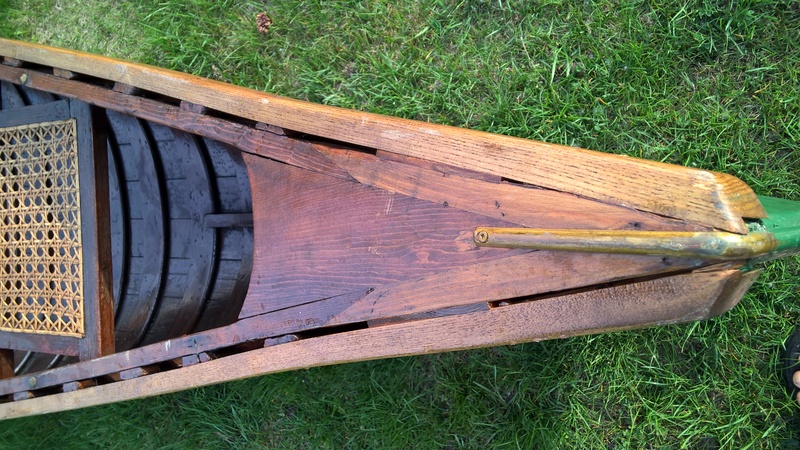 Well today my wife and I are extremely pleased with my purchase of a really old Peterborough Canoe that we had it in the water paddling an hour after picking it up. This canoe is something special. 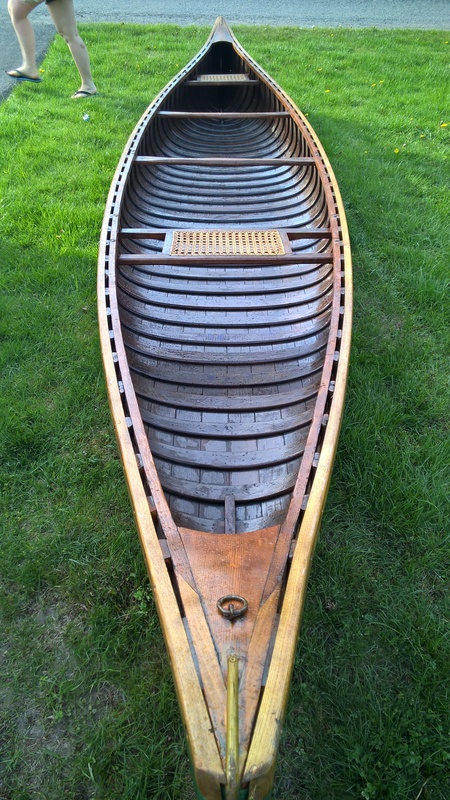 It was owned by a wealthy gentleman who had two 16 foot long canoes hanging over his dining room table, so I was told. I cannot imagine the size of his house. 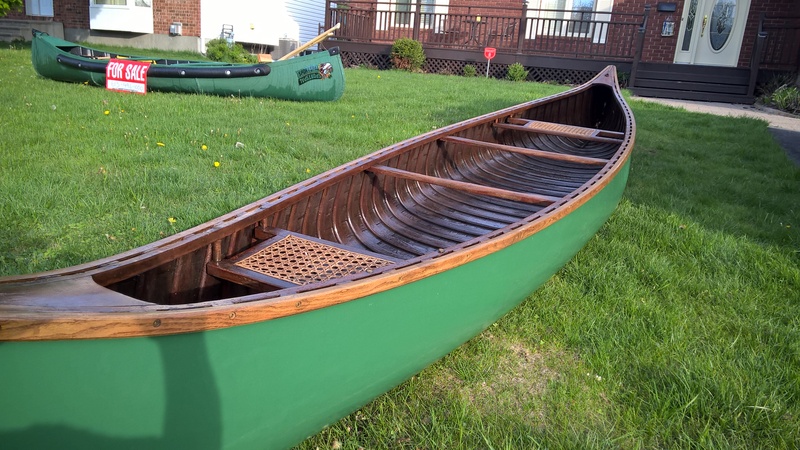 Never the less, he unfortunately is forced to sell his house and belongings due to sickness and wanted this special canoe to go to someone who would cherish it. Now that is where I came in. 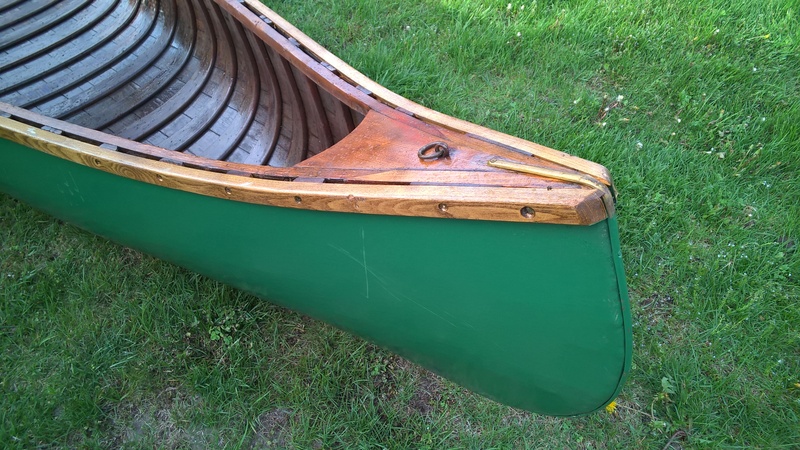 We believe by the serial numbers engraved in the bow boards and by the size measurements that it was built by Peterborough Canoe Company in 1910. The gentleman who owned the canoe had it completely refurbished 10-15 years ago before he hung it up over his dining room table. It had never seen a drop of water in over 20 years until today. My wife and I took it to Petrie Island and put it in the water. It paddled wonderfully and it did not leak one drop of water. Additionally we did not add a scratch to the perfect hull. 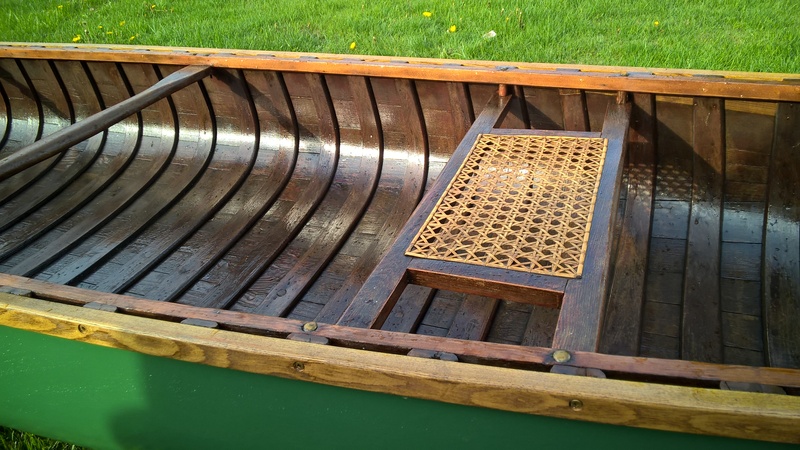 It is simply a beautiful boat and the workmanship is just amazing. It is so reminiscent of calmer less stressful times. No Kevlar, plastic, fiberglass or other light weight futuristic materials but rather cedar wood, canvas, paint and some brass. It’s what I call a river canoe because it doesn’t have a keel. That makes it somewhat harder to cross a windy lake with, but way more manoeuverable and a dream to paddle down rivers. You should do a little research. That canoe could be really special. 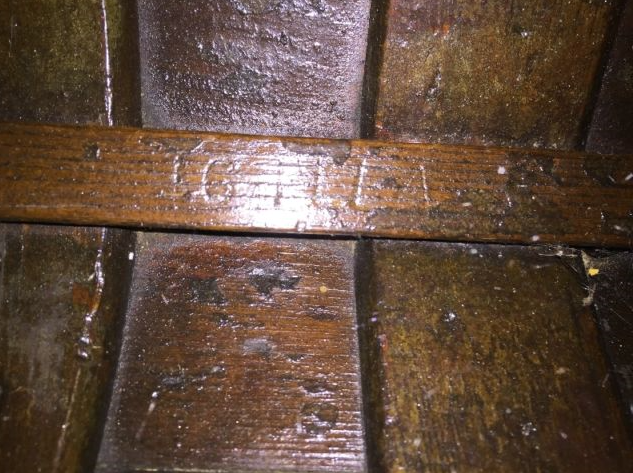 Craftsmanship, and pride in workmanship, really meant something in those days gone by. What a treasure! Thank you. 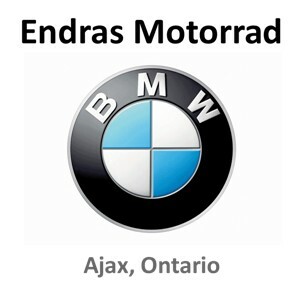 Hopefully it will be passed to my son one day and then down to his…. What a great looking canoe! Very beautifully crafted, thanks for the post. What a find! Looks like you found yourself a treasure, Peter! 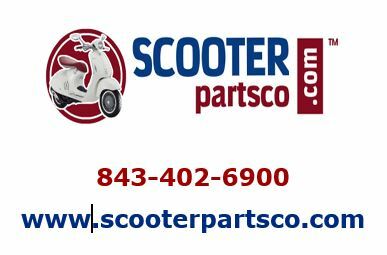 Oh – storing it on its side is not recommended, but if you do, switch sides regularly so that it does not slowly deform over time. Its on its on its gunnels now.